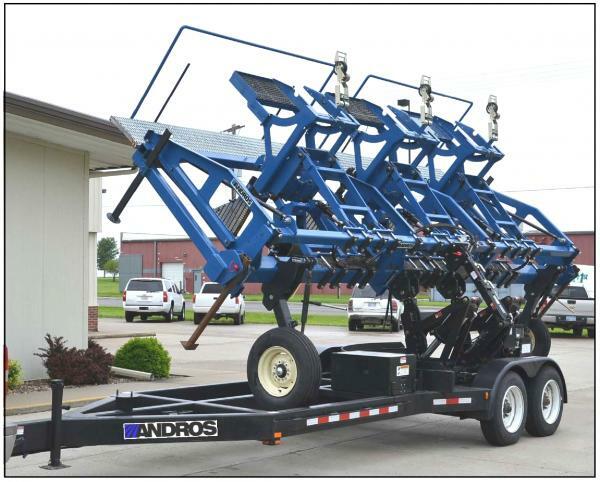 The Retriever™ Self-Loading Trailer from Andros features a self-contained hydraulic lift system that allows one truck and operator to pick up, transport and unload three-point mounted implements without the need for a forklift or tractor to assist in the loading or unloading operations. 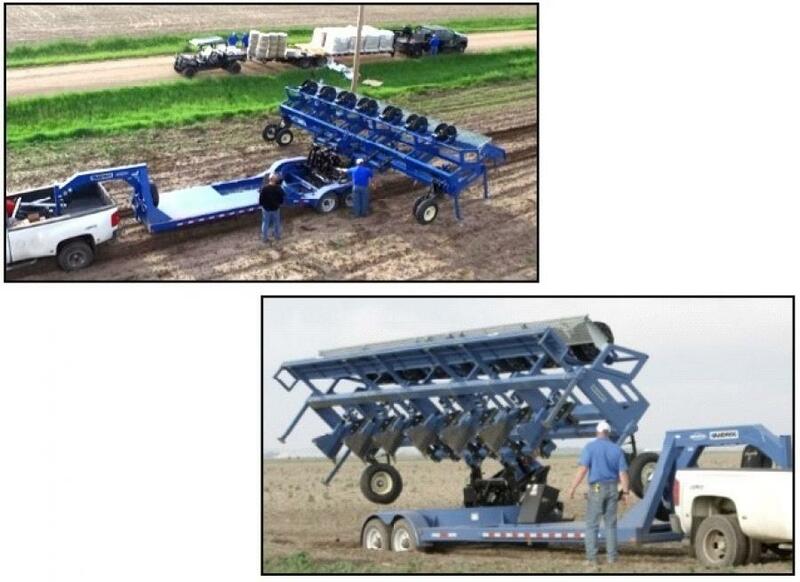 The Retriever™ SLT was designed to greatly increase the efficiency of dealers and large growers by reducing the manpower and equipment requirements need to move specialized three-point mounted equipment. The operator simply backs up to the implement, attaches the trailer lift arms, lifts the load, rotates the load lengthwise, secures the load and drives away!